Design Talks at Projector are events centered around discussion. We invite experts in their field so you can ask them questions and share experiences. We analyze case studies to find the best solutions for your design needs. 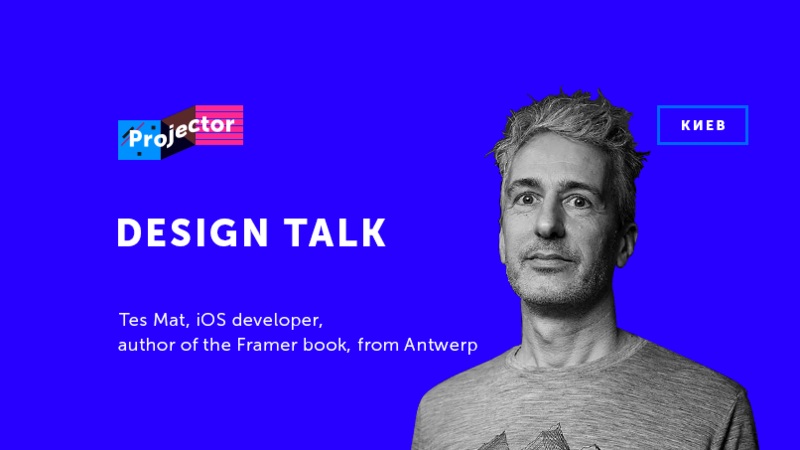 This time our honored guest is Tes Mat, author of the Framer book, from Antwerp. We'll talk about UX prototyping tools. Tes has tried a bunch of them and will give a quick 10-minute overview touching on the advantages and disadvantages of the best-known tools (Framer, Origami, Principle, Flinto, InVision, etc.). The discussion will be held in English, mostly.